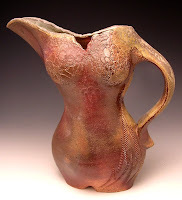 I am slowly adding photos to my Jeff Brown Pottery page on Face Book. So far I've been posting Studio and Show photos from the last ten years as Jeff Brown Pottery in Northwood, NH. Now I am starting a "album" of pieces I have made over the years...some new, some old, some blue, some bold... OK.... yes, I like Dr. Suess, and only a few of the pots are blue. 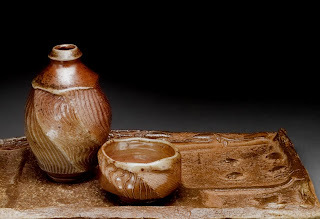 Later I will be posting images from the years before I opened my studio...pieces I made while I was working for other potters...While I was tring to "find myself" as a clay artist.